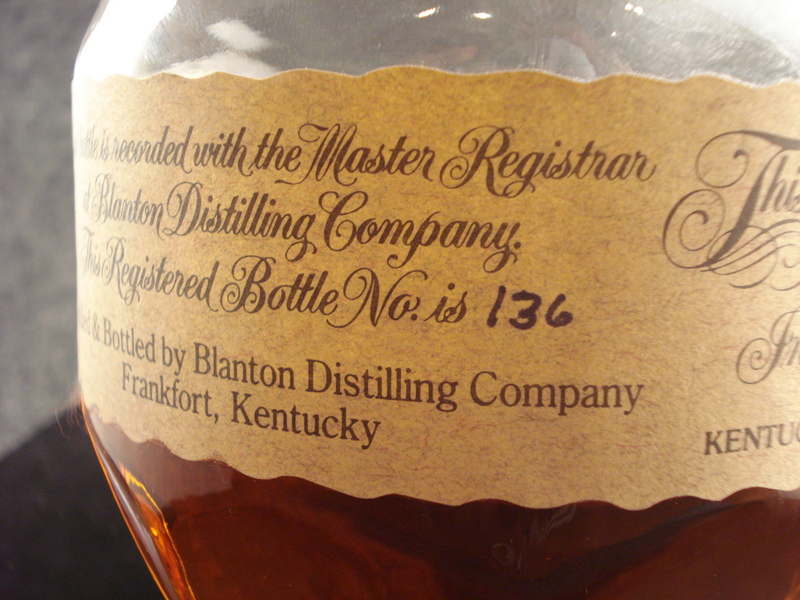 Blanton’s has been a stalwart amongst high end bourbons for some time, and that is not likely to change until the processes by which it is made and aged are changed. 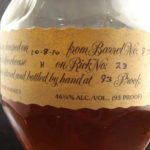 Yet another top-shelf offering from Buffalo Trace, Blanton’s is made from the distillery’s higher rye formula, commonly known as Buffalo Trace Mash Bill #2. 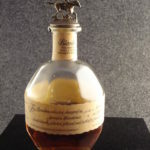 It was the brain child of recently deceased legendary master distiller, Elmer T. Lee, first released in 1984, making it one of the older top shelf single barrel bourbons on the market. 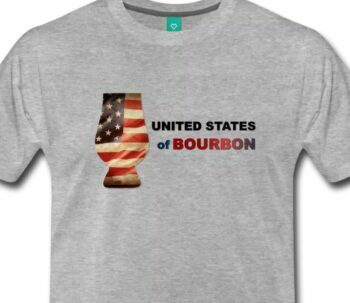 It is named in honor of “Colonel” Albert Blanton, president of the distillery in the 1920s and thereafter. The barrels selected for Blanton’s are all taken from the center racks of Warehouse H, Colonel Blanton’s favorite aging location. 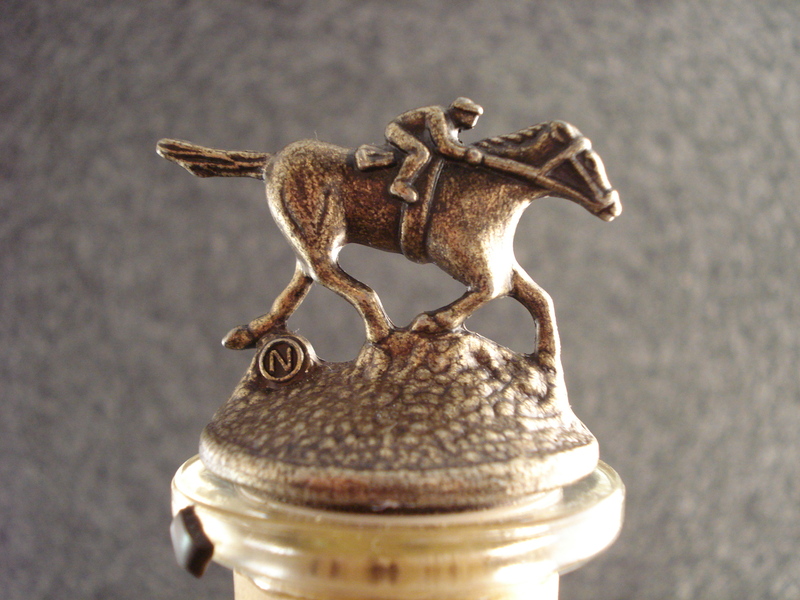 Blanton’s is packaged in short, round bottles with a cork stopper topped with a figure of a horse and Jockey. There are eight different poses for the figure, and when lined up correctly, they make eight different scenes of a horse race from start to finish. They are each labeled with a single letter, spelling “B-L-A-N-T-O-N-S.” It is an iconic packaging, and beautifully orchestrated. 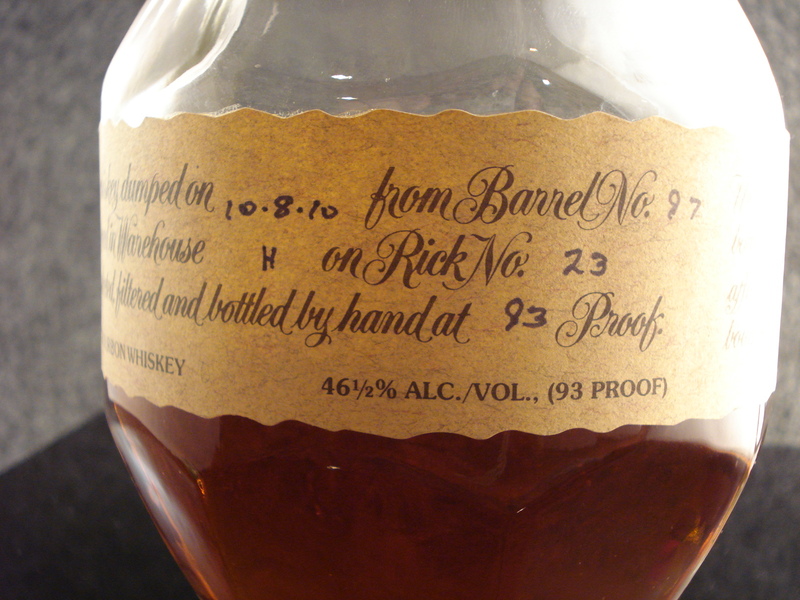 The label depicts the barrel and aging location of the particular bottle. This bourbon poured a medium copper amber color with a touch of cloudiness. There are light butterscotch notes on the nose followed by ripe peaches and orange. A peppery spice overlays the whole experience, doubtless from the higher rye content. Right up front, sweetness from the mash bill hits the tip of the tongue. It develops into more fruitiness on the mid palate, and ends with a spicy cinnamon on the back end. Definitely a long finish, though not overly complex. There is the lingering hint of cinnamon but it is buttressed with the tannins and oak from the barrel. 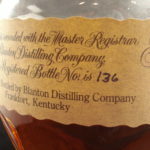 Blanton’s has been a stalwart amongst high end bourbons for some time, and that is not likely to change until the processes by which it is made and aged are changed. 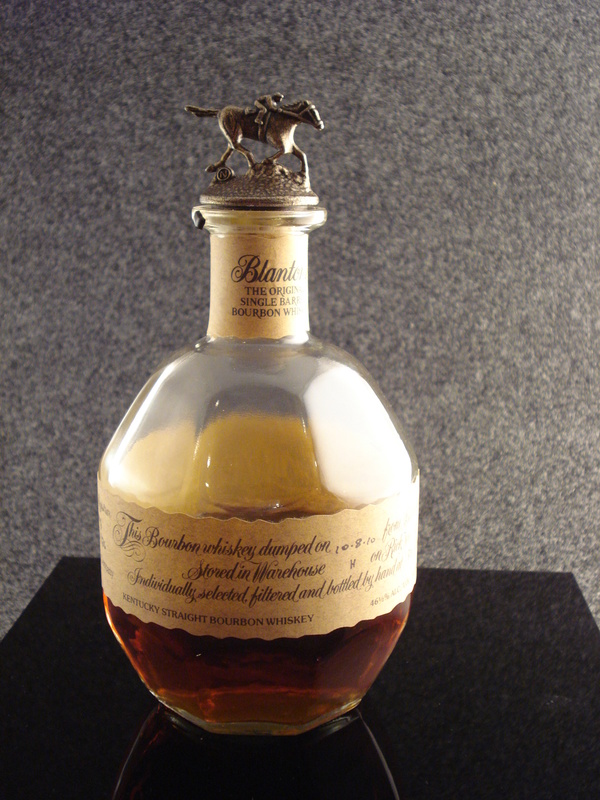 Blanton’s. 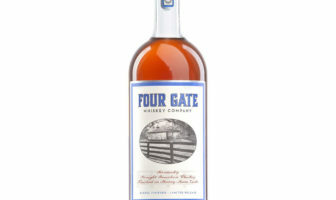 despite its higher rye formula, has long been a favorite of those seeking a smooth-drinking bourbon that deviates from the overly sweet nature of some wheated or lower-rye mash bill bourbons. 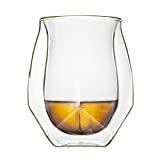 It is a fine sipper, and holds up to a moderate amount of ice, though distilled water does not appreciably affect the flavor or taste, meaning it drinks best neat. 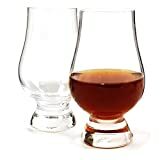 It is not inexpensive, however, though it has become a bit of a “standard” on well-stocked home bourbon bars. Next Article Cinco de Mayo! Pingback: All our Whiskey Reviews in one place!